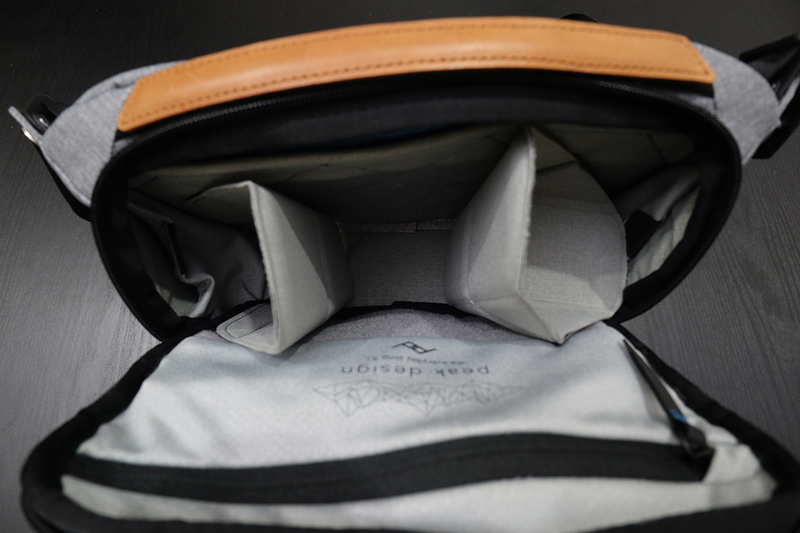 Quality/Usability : The Peak Design Everyday Sling 10L has been my favorite compact bag for when we need to go light. It's great for carrying my Canon 5D Mark IV but when it comes to carrying the Canon EOS M5, it's wayyy too big. The camera and lenses just bounce around because the bag is too big for a small camera. 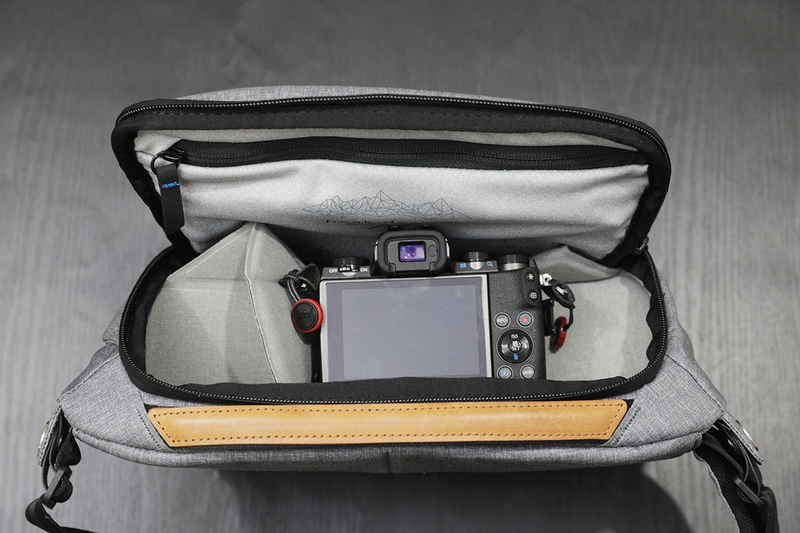 Peak Design has probably heard this often too many times from other Everyday Sling 10L owners who carry mirrorless cameras or drones that there is simply too much space for their small gear. 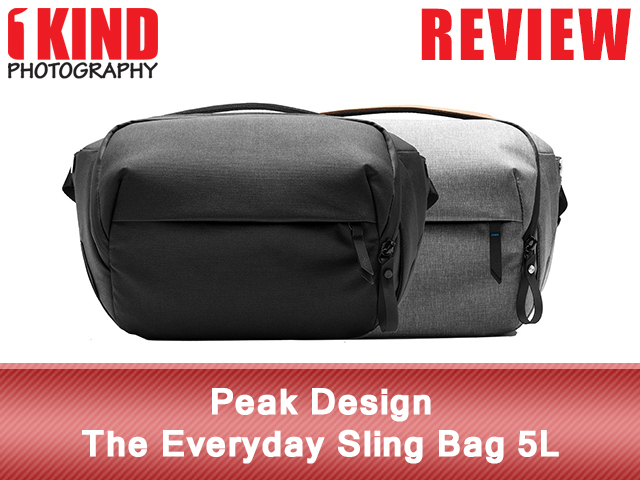 So, Peak Design has released the Everyday Sling 5L. It is a smaller version of the 10L and geared for mirrorless and drone owners. 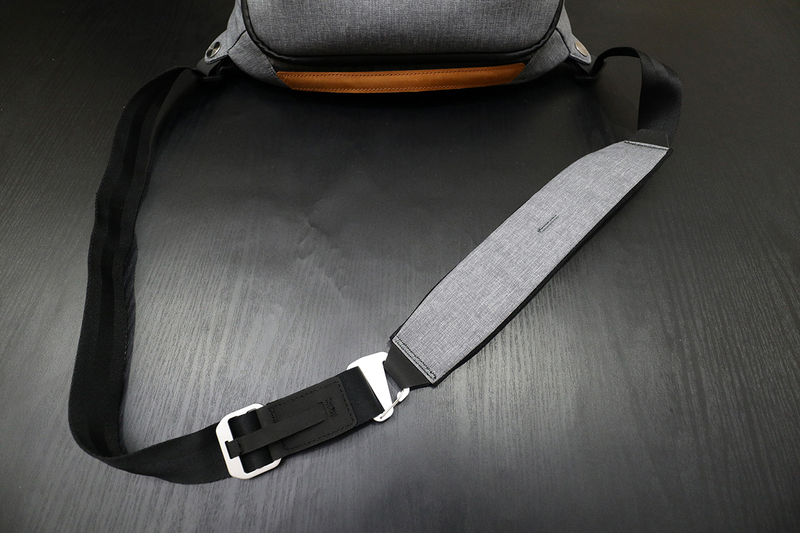 As of this review, the Everyday Sling 5L is only available in Ash and Black, while the 10L is available in Charcoal, Ash and now Black. 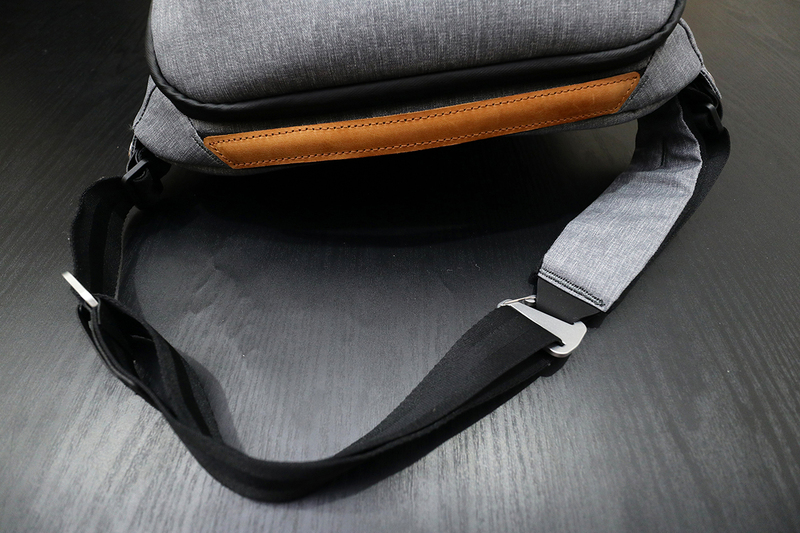 The Everyday Sling 5L has some characteristics of its big brother such as some design elements but it also has some new features to it. 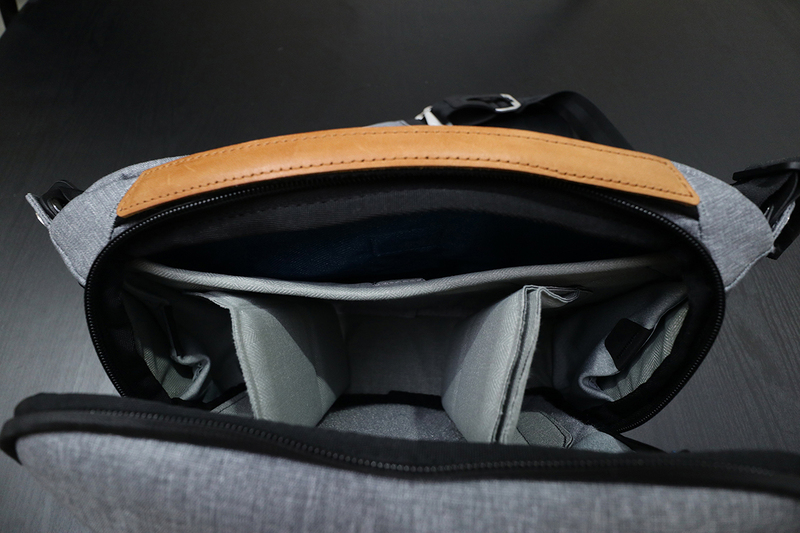 To keep the size down, the front pocket of the 5L does not expand and there are no straps on the outside which also helps you carry tripods or umbrellas. 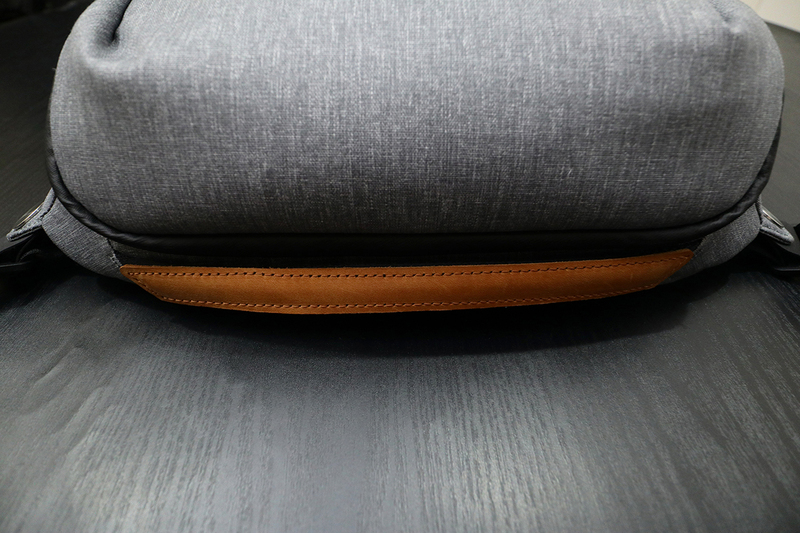 The Ash keeps with the gray material, aluminum hardware, blue stitching and leather accent theme. 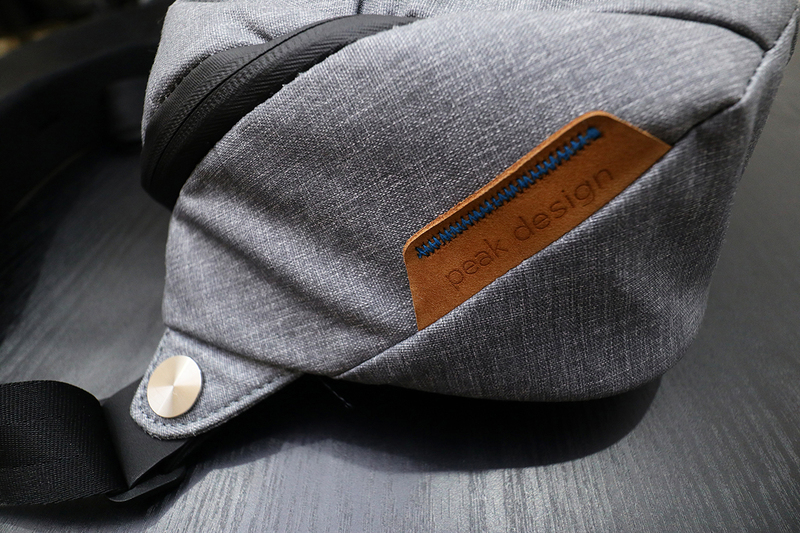 All Peak Design bags are made from ultralight waxed Kodra synthetic canvas with DWR coating for weatherproofness. The zipper is waterproof and features the same locking feature pull handles that are featured in other Peak Design bags. 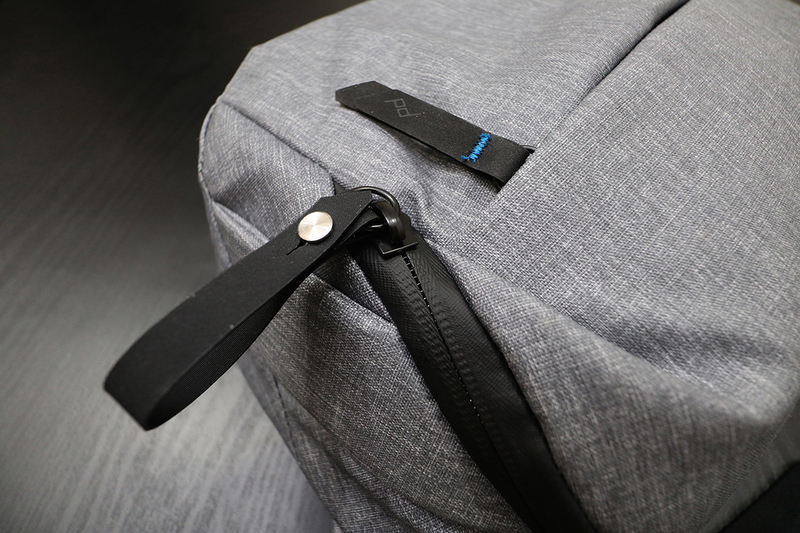 And it's not a Peak Design bag without its own dedicated Capture attachment point on the side of the bag. Just like the 10L big brother, the 5L also features a leather accent carry handle at the top of the bag for easy carrying. There's nothing much to the bag. It looks almost identical in terms of stitching when compared to the 10L. 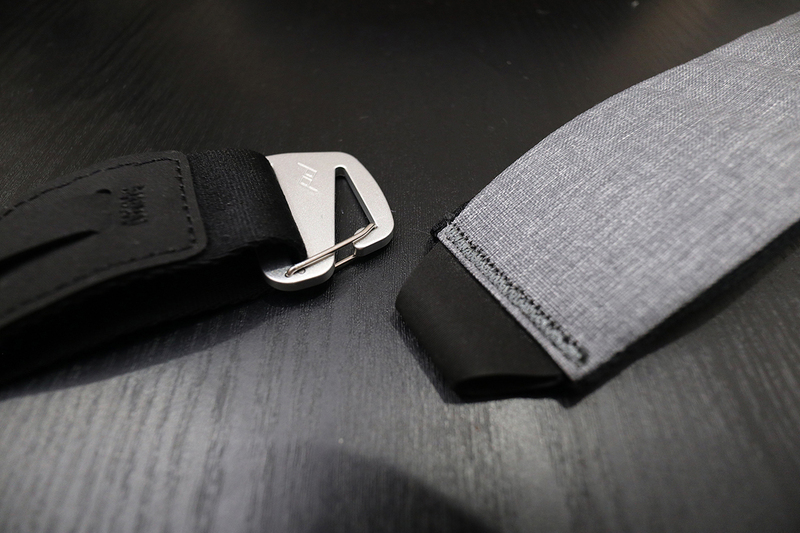 The strap is newly designed with new adjusters similar to the Leash (2017). These new adjusters make cinching quick and easy. Also, it doesn't have the issue of the strap loosening. The shoulder pad is fixed and does not slide. There is also a aluminum spring clip hardware which I will go into more detail further down in the review. 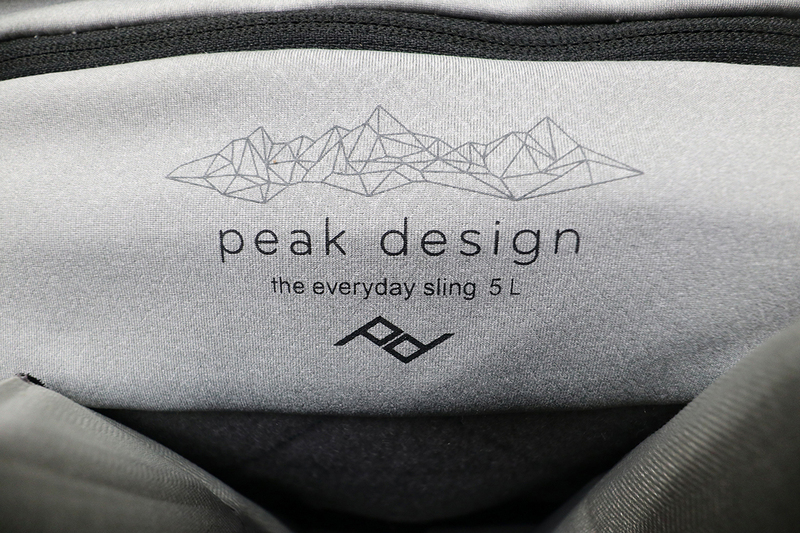 Each Peak Design bag will have the Peak Design logo, name of the product line and size. 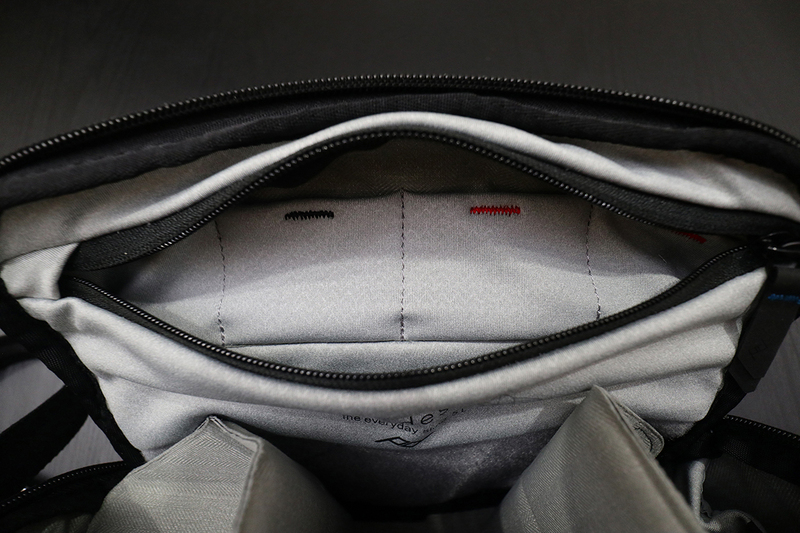 Inside the bag, there is a small pocket that closes with magnets to let you store folded documents, or most tablets up to 11" (does not fit gen 1 and 2 iPad models if in a case). 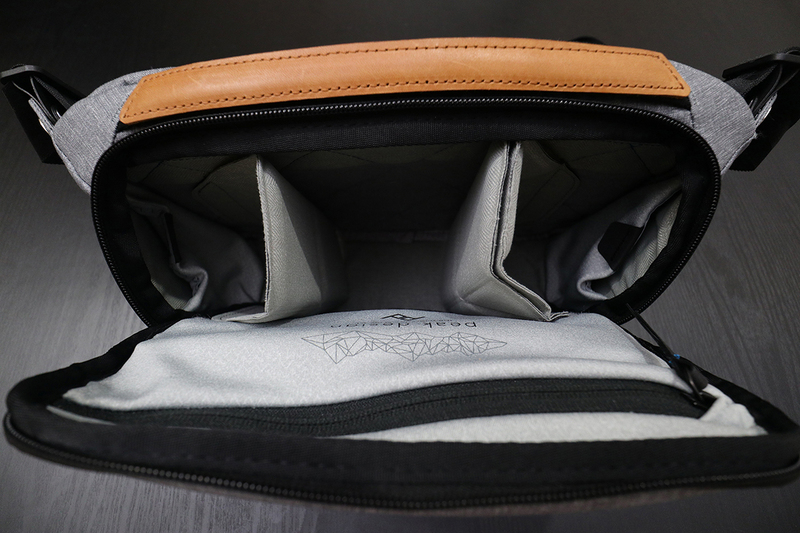 Like with any Peak Design bags, you'll find two origami like compression-molded high-density EVA foam dividers and protective panels. These dividers are removable and you can move them however you like to fit your layout. Unfortunately, only one of the dividers has the ability to pull down one of the panels to make a "shelf". On the picture above on the left, I have two lenses on each side of the dividers. For the picture on the right, the lenses are still in the bag but I folded down the dividers. To the left of the Canon M5, I can still add another lens or even snack on top of the "shelf" while still separated from the camera. 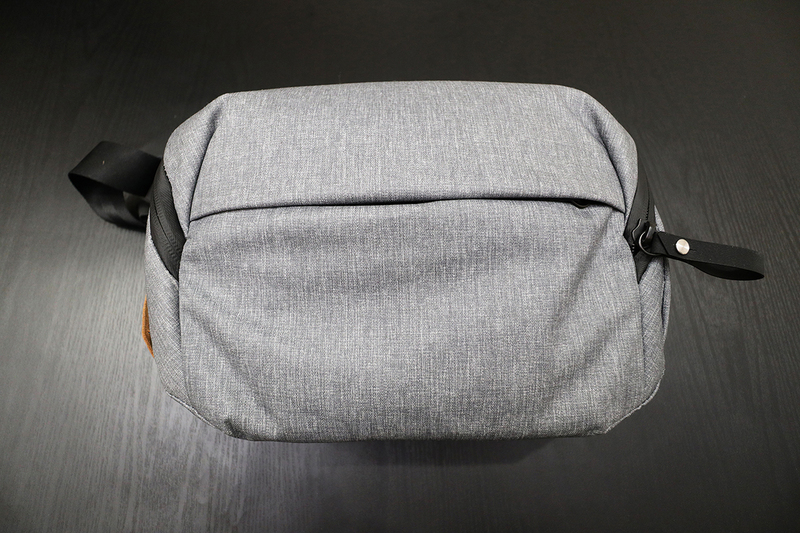 The Everyday Sling 5L would be perfect for a drone such as the DJI Mavic Pro and the DJI Spark. You can put the drone in the middle, controller on one side and batteries or other accessories on the other. 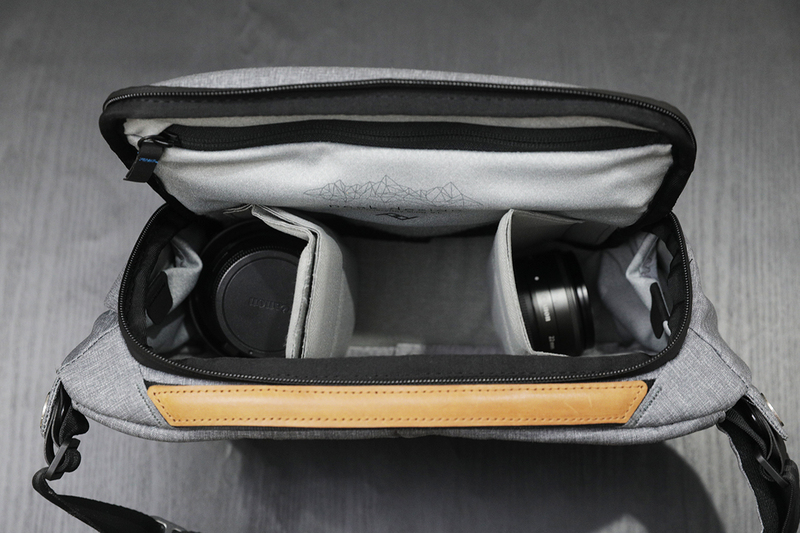 Peak Design says that it can carry a full frame camera with a small lens attached. However, when I tried to put my Canon 5D Mark IV with 24-70mm f2.8L II (placed side down), the bag wouldn't close easily because of the height of the camera. For smaller DSLR's, it wouldn't be a problem. On the inside of the flap, is a zippered pocket. Here, you can store your extra batteries, memory cards, money/loose change, keys, etc. Again, this pocket does not expand where as with the 10L, this pocket expanded to allow you to add more stuff. 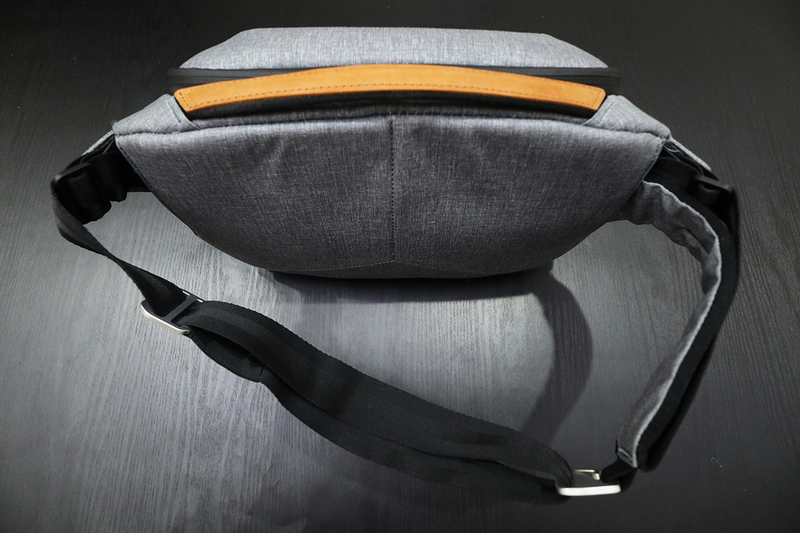 One of the things when the Peak Design Everyday Sling 10L backers on Kickstarter had asked was if the sling can be worn as a waist bag. Due to the design of the bag and weight of the gear once loaded, it wasn't able to. 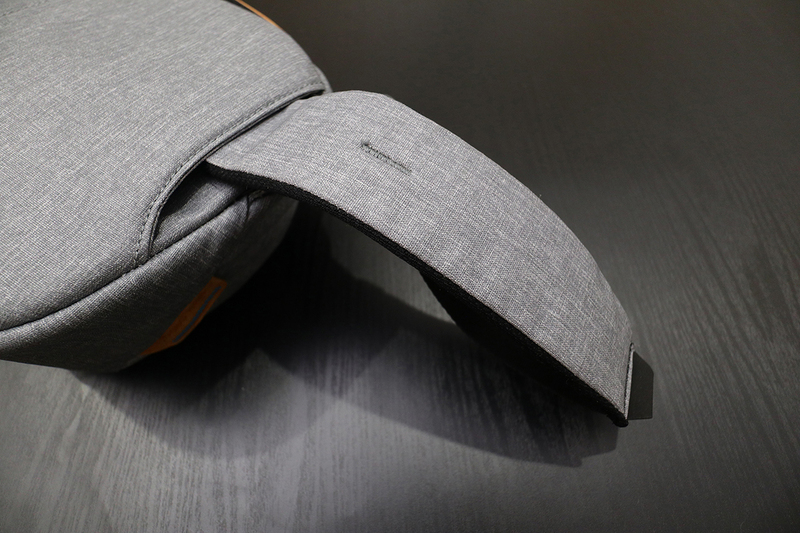 With the Everyday Sling 5L, not only can you wear it as a sling bag, but you can also wear it as a waist bag! As I mentioned above, the 5L has a new aluminum spring clip which lets you convert the 5L into a waist bag. To do so, all you have to do is take the strap off the clip and take the end of the padded strap and tuck it into the bag. 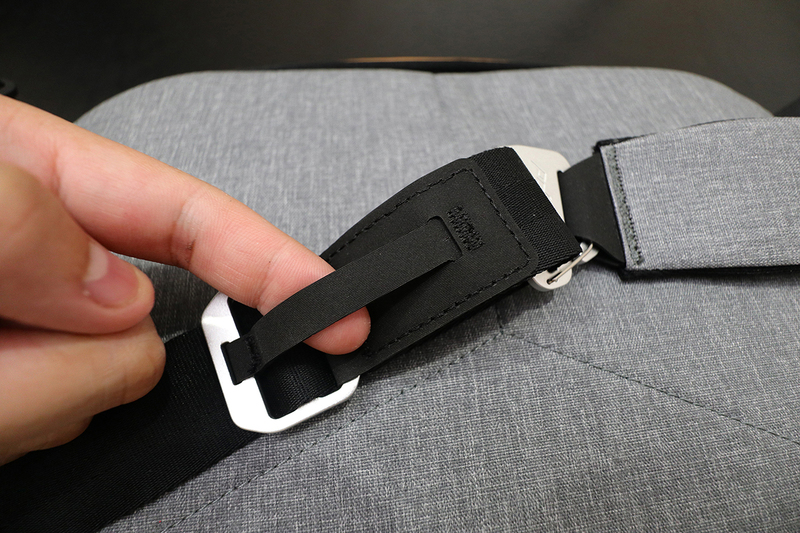 There is a small loop on the other side of the padded strap which will allow you to clip the clip onto the strap. You now have a waist bag! 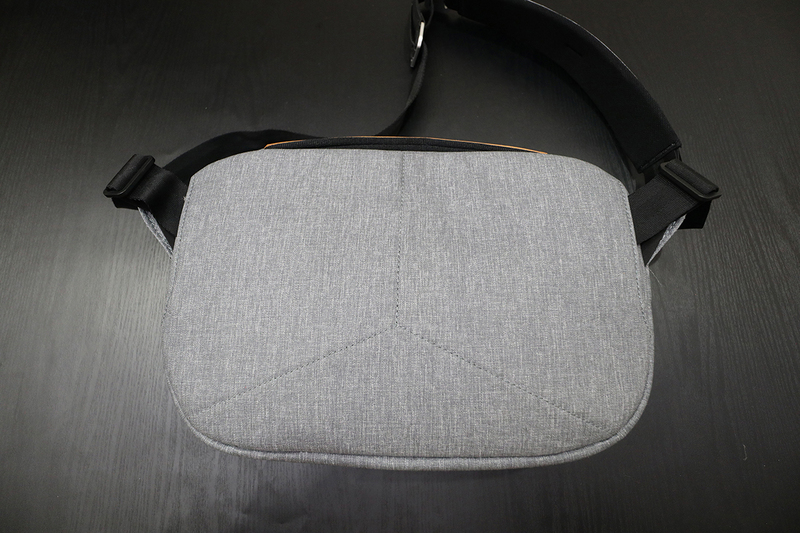 Conclusion : Overall, the Peak Design The Everyday Sling Bag 5L is a awesome little bag! 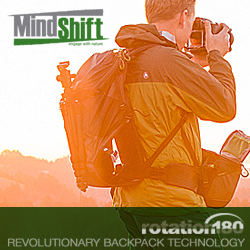 This is the perfect bag for any mirrorless and/or drone owner. 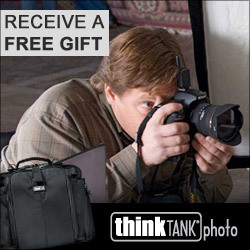 The 5L is just perfect for small set ups and the 10L is perfect for DSLRs and bigger set ups. Even though Peak Design says it fits full frame cameras, I think it's best suited for smaller DSLRs. I wore this bag at PhotoPlus Expo 2017 at Jacob Javits Convention Center in New York City both as a sling bag and waist bag and this bag held up very well. I had all the gear you saw above in the pictures as well as some snacks.